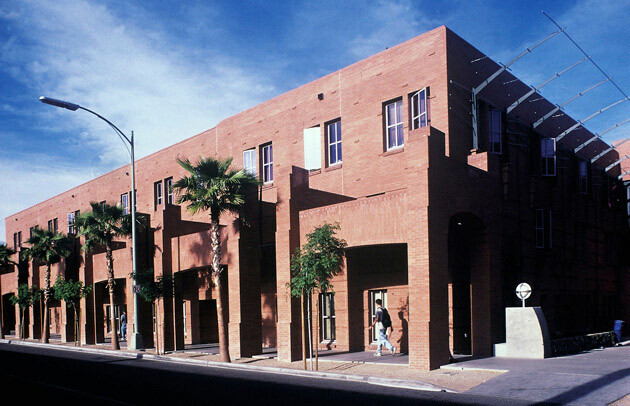 Colonia de la Paz Residence Hall was the first building designed that implemented the Highland District Master Plan designed by Moule & Polyzoides. Its construction transformed an amorphous campus service area into an academic and residential neighborhood that incorporates teaching, social, recreational and commercial spaces. 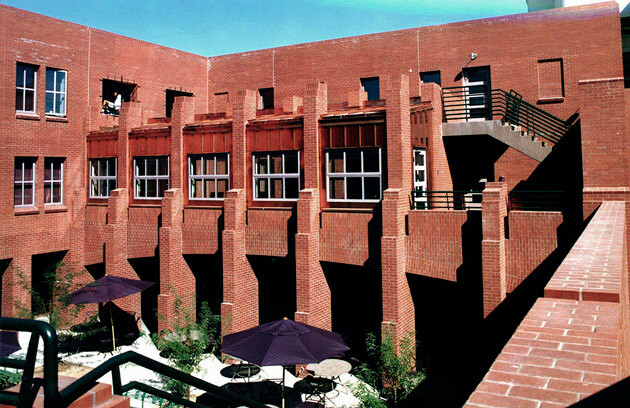 The new buildings are a hybrid of two American campus residential types: the courtyard building and the multiple-entry building. 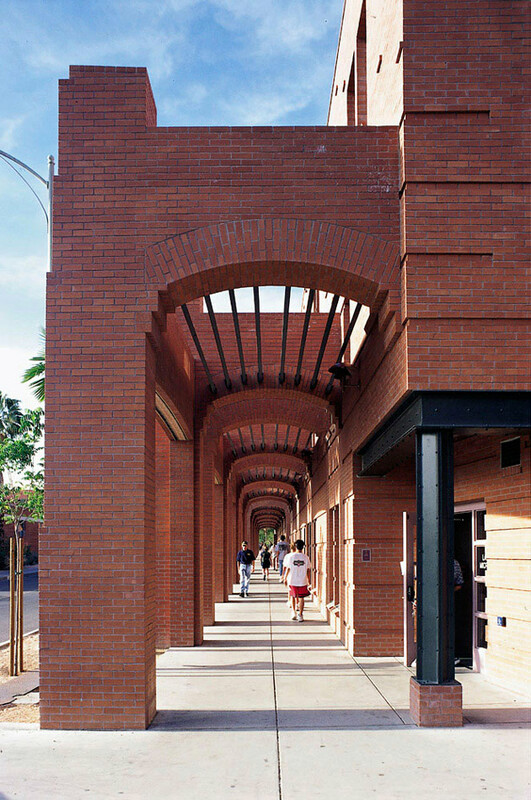 Eleven lush courtyards are enlivened by surrounding arcades, connecting passageways and entrances to student quarters. 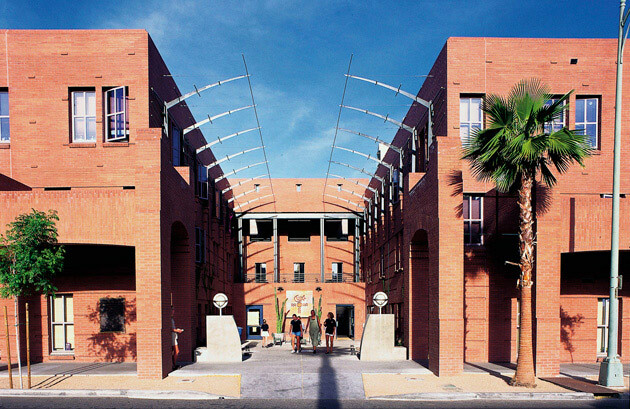 In response to the Sonoran Desert’s extreme climate, many sustainable measures were incorporated: all courtyards are enclosed and self shading; walkways are covered but open to the weather; and a wind tower passively cools one of the two principal courtyards. Ringing these two courtyards are the major shared living rooms. The student residents take full advantage of the amenities of this facility, its living rooms, study rooms, dining rooms and recreational suites. The result is a 500-bed complex that feels more like a resort hotel than a dormitory.